• shipwrecked and has lost everything, the Mission is there with clothes, food, accommodation, safe refuge and that vital phone call home. • injured and alone in a foreign hospital our staff visit him, offer support and liaise with his family. • stranded without pay, with no food, money or ticket home, the MtS provides for him and helps with embassy, legal and immigration issues. • taken hostage by pirates the MtS liaises with his family and is there to offer counselling and post-trauma care for him when he is released. • not paid by his company after many months at sea, the Mission helps negotiate with his employers and arrange legal or union advice. • denied shore leave and unable to make contact with his family our ship-visitors take internet-linked laptops, phone cards and newspapers on board. • on a short turnaround in port with barely any time ashore, our staff transport them to Flying Angel Clubs where they can socialise, have meals, contact their families and enjoy a break from their ship. 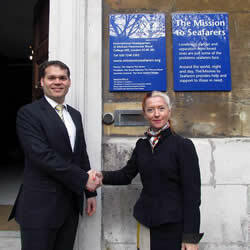 SPNL Chairman, Claudio Chiste, with Nicky Wynne, Director of Development for the Mission To SeafarersSPNL Chairman, Claudio Chiste, with Nicky Wynne, Director of Development for the Mission To Seafarers, shortly after the recent SPNL fund raising effort (in collaboration with Bibby Ship Management) which raised £400 towards the Philippines typhoon disaster. 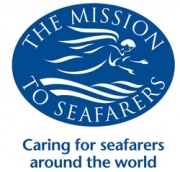 For any further info on in relation to General Info, Media Enquiry, Corporate Support, Fundraising or making a donation, please visit www.missiontoseafarers.org or phone the Supporter Hotline on 0300-555-1505.